In areas of the country that have a need for clean drinking and irrigation water, a well-drilling company can be a lucrative business to start. Successful residential water-well drillers may expand their services into environmental groundwater wells and geothermal system installation drilling, which provides multiple avenues for company and professional growth. Potential clients for a well-drilling company include homeowners; local, state and federal governments; and private industries. When you start your drilling company, you need to understand both the financial and logistical aspects of running a business and the technical details of well installation guidelines and methods. A water-well drilling company can be a lucrative business. Obtain the necessary business and professional licenses to operate the business. These include a federal Employer Identification Number and state and local business licenses. Secure a certified drillers license in the state(s) where you plan to work. If you do not have the technical background to obtain a drillers license, hire a certified driller to work for you. 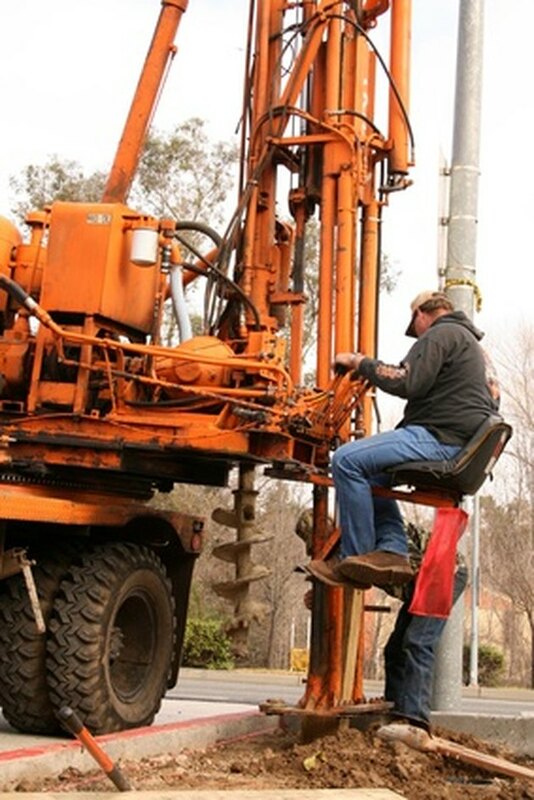 Even if you hire a driller, you should learn the requirements for water well installation. Purchase a drill rig. The type of rig you purchase depends on the type of wells you plan to install. You can install most water wells with hollow stem or mud rotary drilling rigs, although other types of rigs are available. You may choose from a truck- or trailer-mounted rig as well. New and used rigs are available from manufacturers or other drilling firms. Check with the local transportation department to determine if your rig must meet specific Department of Transportation requirements or if you need a commercial driving license for the vehicle. Determine your fee structure. The minimum fees you should determine are mobilization, demobilization, per diem, hourly rates or drilling footage rates, materials fees, and standby costs. These fees should be sufficient to pay salaries, maintain equipment, support office costs, and provide a company profit. The fees may vary based on type of rig, project requirements and well type. Define your target customers and contact them via phone, direct mail or print advertising. Look for large municipal or federal contracts to bid on to add stability to your company. Well-drilling firms often earn work through personnel recommendations so train your staff to treat each client with good service.